Christmas has come to Cobaarz! Happy Silly Season everyone! The madness has started! 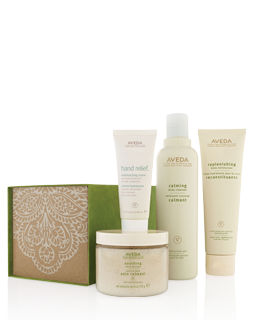 We have the perfect gift solutions for all Aveda-lovers! By buying your loved ones (or yourself!) these gifts, you are also changing lives in Nepal! Our gift boxes and wrapping is hand made in Nepal, where once again, Aveda helps sustain communities that need our help. Aveda’s green boxes programme employ 5500 people in Nepal. Mothers can work and send their kids to school. Fathers who had to leave for extended periods to work can now find jobs in their own community. 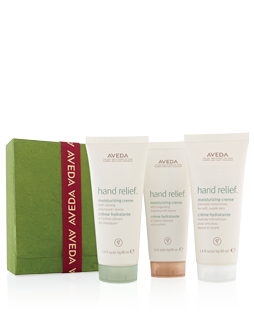 Hand Relief with original aroma, 40ml, Hand Relief with Shampure Aroma 40ml, and Hand Relief with Rosemary Mint Aroma 40 ml. RRP $45. 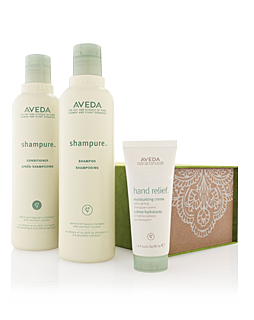 Hand Relief with Shampure aroma 125mL (full size), and Hand Relief with original aroma 40ml. RRP $60. Make Up compact with limited edition colours! 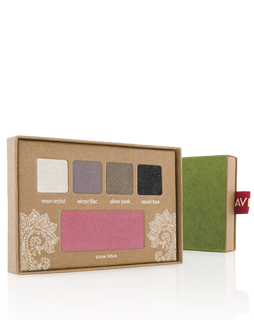 4 Petal Essence Eye Colours, and Petal Essence Face Accent. Includes tutorial card so you can get the best out of this gorgeous compact. RRP $30. 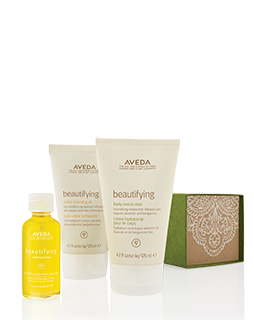 This gift set is a perfect way to get your hands on Aveda’s new range of body products! Beautifying Creme Cleansing Oil 125ml, Beautifying Body Moisturiser 125ml, Beautifying Composition 30ml. RRP $79. Everyone’s favourite… Shampure Shampoo 250ml, Shampure Conditioner 250ml, Hand Relief with Shampure aroma 40ml. RRP $65. Calming Body Cleanser 250ml, Replenishing Body Moisturiser 125ml, Soothing Aqua Therapy 170g, Hand Relief with original aroma 40ml. RRP $84. 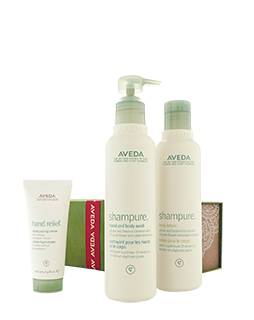 Shampure Hand and Body Wash 200ml, Shampure Body Lotion 200ml, and Hand Relief with Shampure Aroma 40ml. RRP $68. 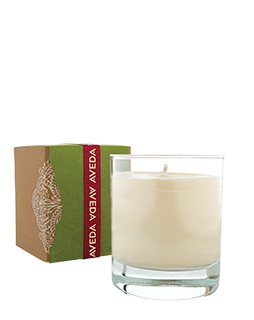 Amazing Soy Wax Candle featuring the signature Shampure Aroma. Burn Time is 50+ hours! RRP $49. We all know somebody who could use this! Stress Fix Soaking Salts 170g, Stress Fix Body Lotion 200ml, and Stress Fix aroma Concentrate 7ml. RRP $125.